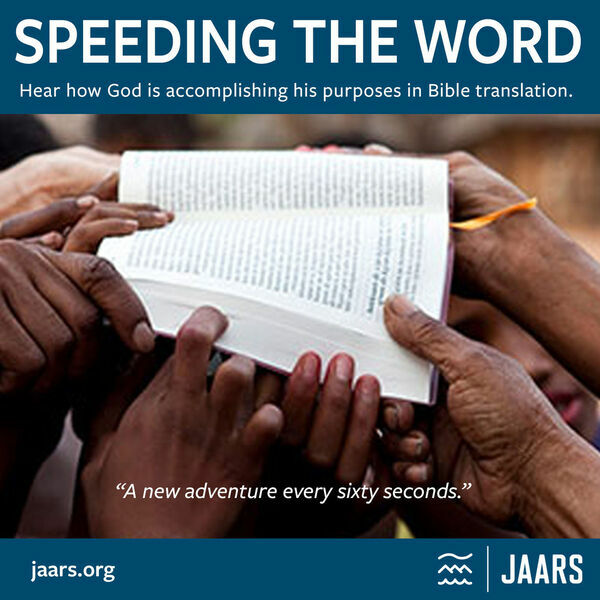 JAARS’ Advocates across America share with churches, neighbors and friends about the importance of Bible translation and how God is using JAARS to impact this work. God’s promises of His sovereignty over time and space in Acts 17 touched the hearts of a tribal group living in remote Papua Indonesia. The story of how a tragic tsunami in PNG not only dramatically changed a translation project but transformed a simple boat captain into a critical part of the translation team. Bible translation consultant Jim Pohlig shares the importance of both outside language and cultural review of translation work. Larry serves as language consultant to several national translation teams in Venezuela, bringing God’s Word to six indigenous people groups amidst the crisis in that country. Jacob shares how his encounter with Christ brought both family persecution and life fulfillment. He still awaits scripture in his heart language to better share his faith. JAARS aviation innovation extends beyond aircraft engines and props to even protecting overhauled engines being shipped to remote places in the world. Joyful enlightenment came when Papua New Guinean translators realized for the first time that the Gospel of Jesus Christ was given specifically for them. Through comfort amidst tragedy, God touched the hearts of a Papua New Guinea tribe to receive Bible translators and the work of Bible translation. Scripture websites are providing access to God’s Word for people in places like South East Asia where there are yet a very small percentage of believers. Solomon Ngallaba came to JAARS from his native Tanzania to learn to utilize audio and video tools for dozens of Bible translation projects happening there. JAARS’ donation of ATVs and 4WD vehicles and their training for proper usage is providing critical help to translation teams in Papua New Guinea. The testimony of a simple elderly woman who daily walks her village showing neighbors the Jesus film on her phone. JAARS pilot Christopher Clark serving in Papua New Guinea shares testimonies of life transformation from a recent scripture celebration there. Pilot Mike Brooks shares the experience of his whole family engaged in Bible translation support in Papua New Guinea. All content © 2019 Speeding the Word. Interested in podcasting? Learn how you can start a podcast with Buzzsprout. Podcast hosting by Buzzsprout.